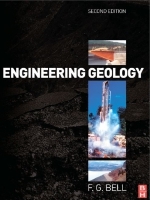 As noted in the Preface to the first edition, engineering geology can be defined as the application of Geology to engineering practice. In other words, it is concerned with those geological factors that influence the location, design, construction and maintenance of engineering works. Accordingly, it draws on a number of geological disciplines such as geomorphology, structural geology, sedimentology, petrology and stratigraphy. In addition, engineering geology involves hydrogeology and some understanding of rock and soil mechanics. 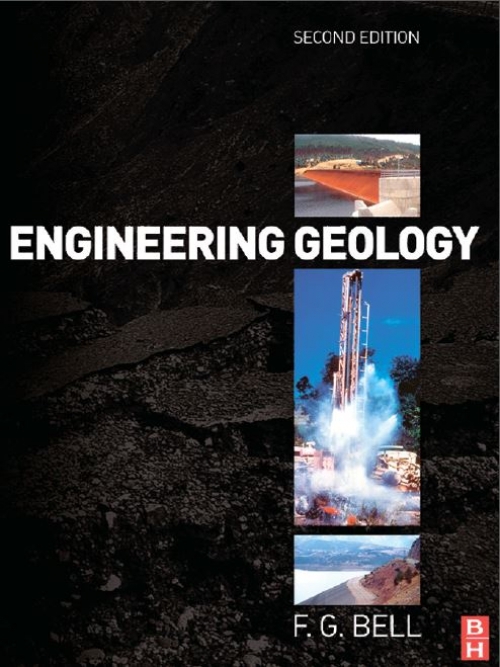 Similar to the first edition, this edition too is written for undergraduate and post-graduate students of engineering geology. It is hoped that this will also be of value to those involved in the profession, especially at the earlier stages of their careers. However, it is aimed at not just engineering geologists but also at those in civil and mining engineering, water engineering, quarrying and, to a lesser extent, architecture, planning, surveying and building. In other words, those who deal with the ground should know something about it. Автор(ы): Brekhovskikh L.M., Lysanov Ju.P. 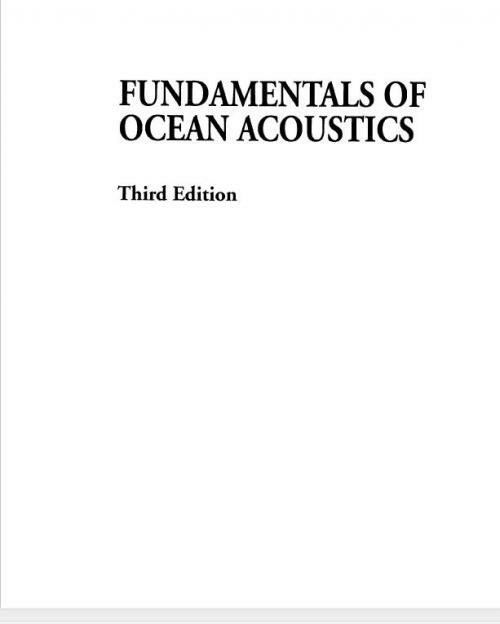 This is the third edition of our book Fundamentals of Ocean Acoustics, revised and supplemented, including much new material responding to the progress in the theory of sound propagation and scattering in the ocean over the last 10 years. 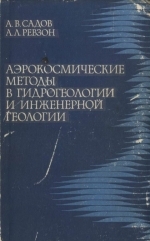 New topics are devoted mainly to such questions as the intrathermoclinc lenses and their effect on sound fields in the ocean, weakly divergent bundles of rays, ocean acoustic tomography, coupled modes, invariants of an interference pattern in a range-dependent oceanic waveguide, sound scattering by random highly anisotropic volume inhomogeneities (fluctuations of the refractive index of the sea medium) with a fractal spectrum, fractal nature of low-frequency attenuation in the underwater sound channel, small-slope approximation in treating sound scattering from the rough sea surface (Voronovich's approach), sound scattering by an air bubble near the sea surface, collective bubble behaviour, etc. Both the direct and inverse problems arc considered. Some rccent experimental data arc also added. More than 60 new references are presented. 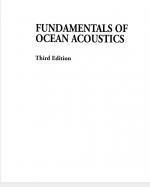 Some new references and figures arc preceded by the letter A.The book is intended for experts in acoustics and oceanology, engineers, postgraduates, and students of universities and institutes of geophysical and hydrometeorological profiles. Thus, it can be used as a scientific monograph and textbook of advanced type. The authors arc grateful to T.l. 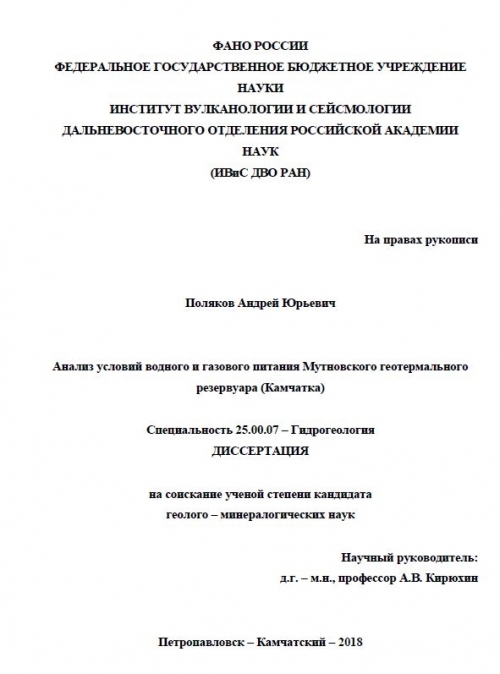 Tsyplakova for her great help in preparing the manuscript. Редактор(ы): Everett L.G., Зекцер И.С. The International Hydrological Programme (IHP) is as an evolving programme, ready to adapt to the needs of an ever changing society. In order to respond promptly and with appropriate actions, the programme is implemented in six year phases, so as to identify new emerging problems, alert decision makers, raise public awareness and provide the necessary resources. Today, integrated water resources management poses not only scientific, but also technical, socio-economic, cultural and ethical challenges. IHP is a multidisciplinary programme at the forefront of research and development; and to this end is a prominent agent in meeting the United Nations Millennium Goals. 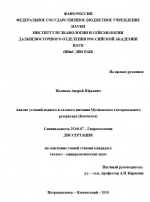 Редактор(ы): Kovalevsky V.S., Kruseman G.P., Rushton K.R. 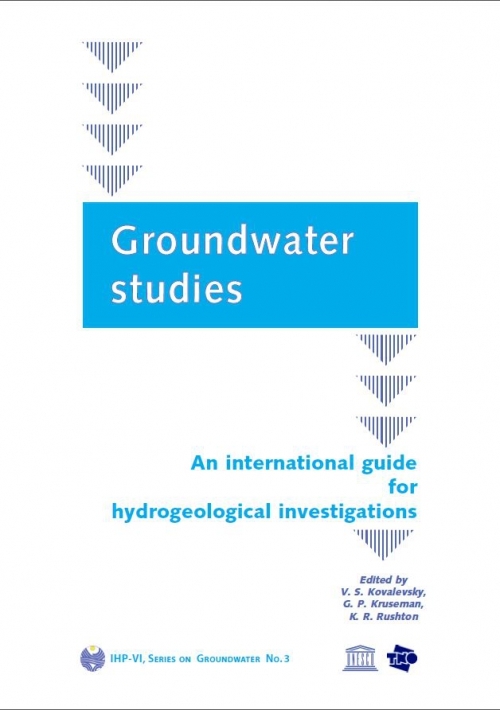 Understanding of groundwater has developed significantly since 1972 when the first part of the original volume of Groundwater Studies was published by UNESCO. 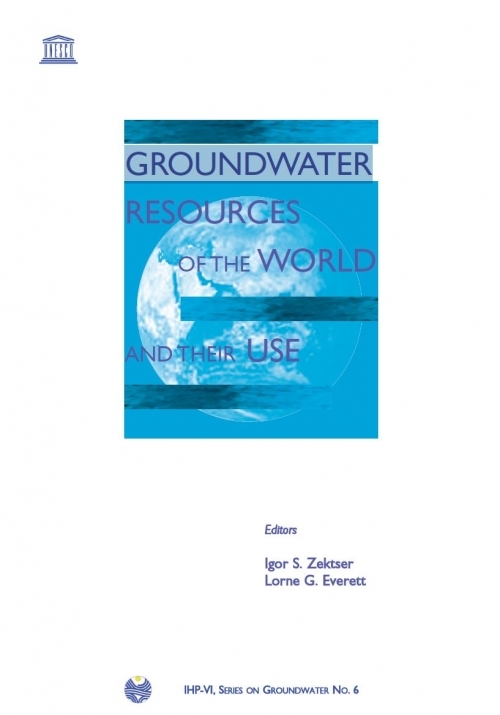 Yet for someone who is just commencing the study of groundwater, there is still a need for a text which will help in starting their work. 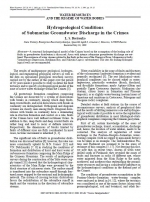 For those with a greater experience in hydrogeological investigations, there is a need to increase awareness both of more recent work and information about techniques which are outside their previous experience. 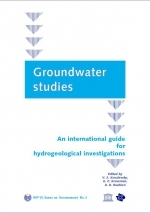 This new volume is intended to meet both of these needs and therefore it has the subtitle ‘An International Guide for Hydrogeological Investigations’. 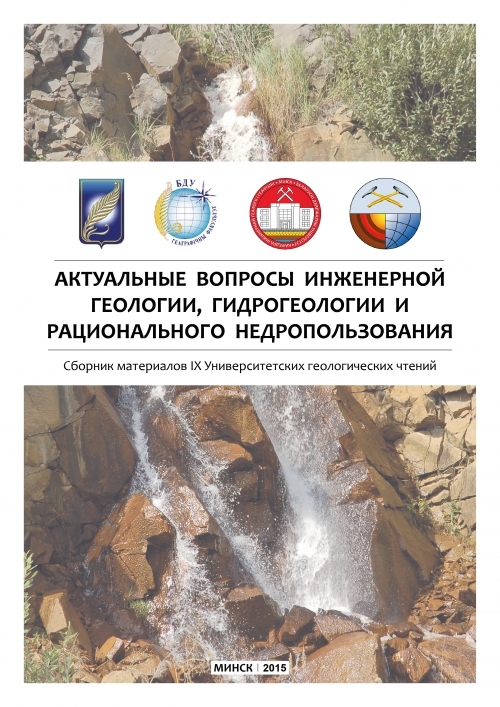 This document was prepared in the framework of the Fourth Phase of the International Programme as Project M-1-3 that was supervised and directed by Habib Zebidi, Water Science Specialist, Division of Water Sciences, UNESCO and after his retirement in 1999 by his successor Ms Alice Aureli. Dr Habib Zebidi has drawn contributors and members for an editing committee from different countries. They brought to this volume their own distinctive perspectives, for all are acknowledged experts with extensive experience of practical groundwater issues. The members of the editing committee have provided a certain unity of style end presentation and also they have tried to keep the size of this document in hand. Each chapter is intended to provide sufficient information to comprehend the fundamentals of the topic; in addition reference is made to publications where further information can be obtained for more detailed study. The contributing authors are listed below per chapter and details are given in Appendix A-3. 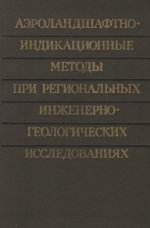 Издание: Journal Water Resources, 2001 г., 7 стр. 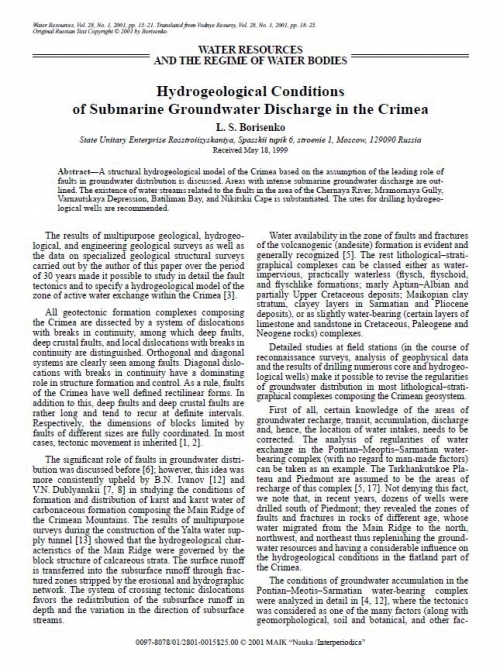 A structural hydrogeological model of the Crimea based on the assumption of the leading role of faults in groundwater distribution is discussed. Areas with intense submarine groundwater discharge are outlined. 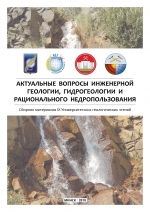 The existence of water streams related to the faults in the area of the Chernaya River, Mramornaya Gully, Varnautskaya Depression, Batiliman Bay, and Nikitskii Cape is substantiated. The sites for drilling hydrogeo-logical wells are recommended. 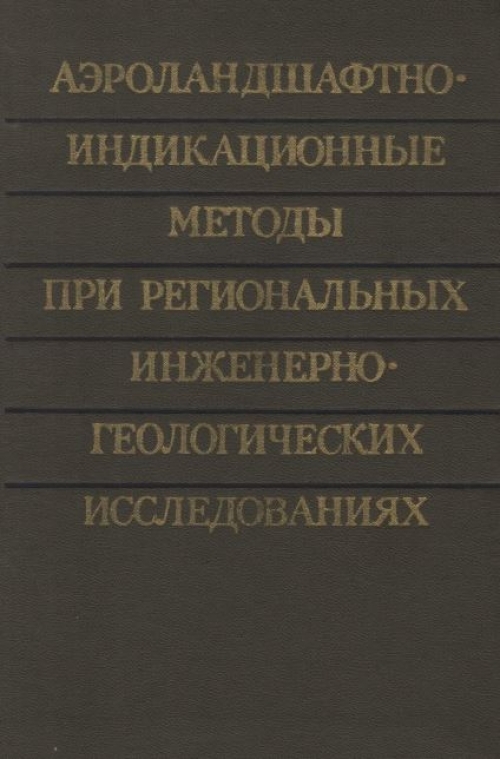 Автор(ы): Anderson S., Schaetzl R.
Издание: Cambridge University Press, Cambridge, 2005 г., 833 стр. 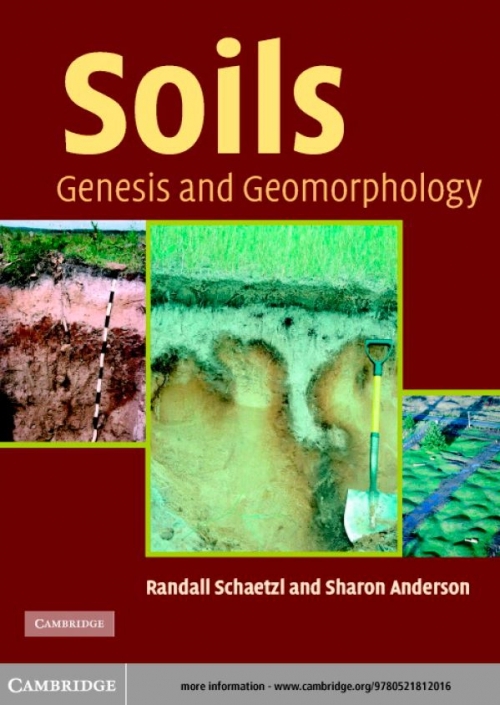 Soils: Genesis and Geomorphology is a comprehensive and accessible textbook on all aspects of soils. The book’s introductory chapters on soil morphology, physics, mineralogy and organisms prepare the reader for the more advanced and thorough treatment that follows. 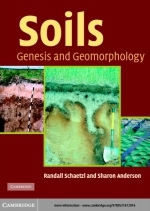 Unlike other books on soils, the authors devote considerable space to discussions of soil parent materials and soil mixing (pedotur-bation), along with dating and paleoenvironmen-tal reconstruction techniques. 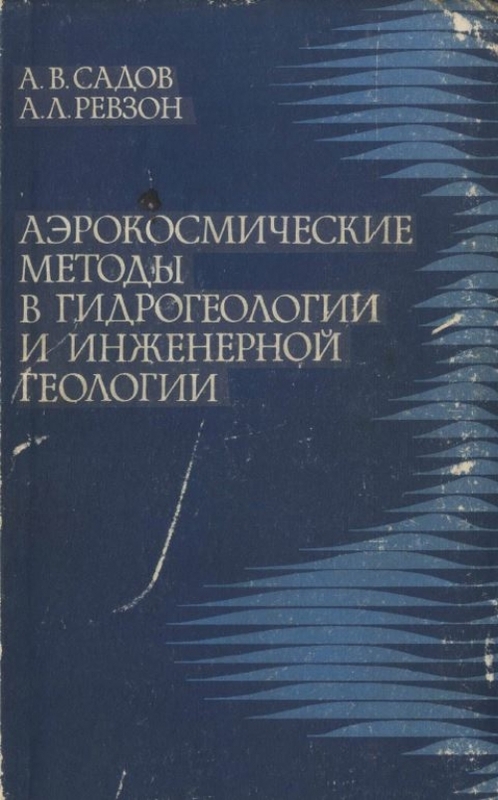 Theory and processes of soil genesis and geomorphology form the backbone of the book, rather than the emphasis on soil classification that permeates other soils textbooks. This refreshingly readable text takes a truly global perspective, with many examples from around the world sprinkled throughout. Редактор(ы): Губин В.Н., Зуй В.И., Лукашёв О.В., Санько А.Ф. В сборнике материалов IХ Университетских геологических чтений, посвященном 110-летию со дня рождения академика Г.В. Богомолова, отражены проблемы гидрогеологии, региональной геологии и геодинамики, поисков месторождений полезных ископаемых. В нем также обсуждаются проблемы четвертичной геологии, стратиграфии и палеонтологии, геотермии и рационального недропользования. Издание: Петропавловск-Камчатский, 2018 г., 115 стр. Важнейшим направлением использования геотермальной энергии является создание геотермальных электростанций (ГеоЭС), позволяющих уменьшить потребление углеводородного топлива за счет использования экологически чистых источников энергии. В настоящее время 25% потребности в электроэнергии г. Петропавловска – Камчатского и Елизовского района покрывается выработкой ее на Мутновских ГеоЭС и есть возможности для увеличения их продукции. Перед строительством ГеоЭС и в процессе ее эксплуатации необходимо всестороннее углубленное изучение гидротермальных резервуаров. Автор(ы): Ревзон А.Л., Садов А.В. определяющим роль космических методов при гидрогеологических и инженерно-геологических исследованиях В ней рассмотрены современное состояние и теоретико-методические основы использования аэрокосмических методов, а также результаты экспериментальных работ по их применению при решении конкретных задач гееологнческого и инженерно-геологического картирования и районирования, изучения условий формирования поверхностного и подземного стока, процессов влагообмена в зоне аэрации, оценке обводненности разломов и изучении экзогенных геологических процессов. Дается оценка информативности материалов разномасштабных аэрокосмофото- и телевизионных съемок в зависимости от решаемых вопросов и детальности работ. Изложенный в книге материал основан на исследованиях, проведенных авторами на космогеологических полигонах и в районах перспективного хозяйственного освоения. Автор(ы): Валях В.М., Викторов С.В., Гельман Р.Н., Илюшина М.Т., Кузьмина И.В., Назарова Н.П., Ревзон А.Л., Садов А.В., Сискевич Л.З. Редактор(ы): Викторов С.В., Садов А.В. Изложены теоретические основы использования аэроландшафтно-индикационных методов в инженерной геологии, развиты представления о связях, обусловливающих возможность индикации статики и динамики инженерно-геологических компонентов природной среды. Обобщен опыт авторов по применению аэроландшафтных исследований в основных крупных природных типологических группах ландшафтов СССР. Рассмотрены главнейшие аэроландшафтные индикаторы, охарактеризована изменчивость их индикационного значения. Проанализированы общая схема методики аэроландшафтной индикации и отдельные ее проблемы. Подробно освещена практика аэроландшафтной индикации при решении инженерно-геологических задач в разных природных условиях, а также индикация последствий деятельности человека. Для инженеров-геологов, гидрогеологов и мелиораторов.